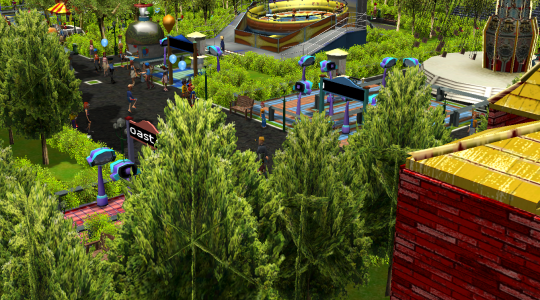 Sebi Land: I'm not considering this in my voting because it's a full park, and none of the individual attractions are featured as the primary entry. The only rides we get good views of are some flat rides, and everything seems to be done in very basic fashion. World Karting Championships: I would love to see the area around the build expanded a bit, maybe including a small parking lot with tailgaters, concessions, etc. 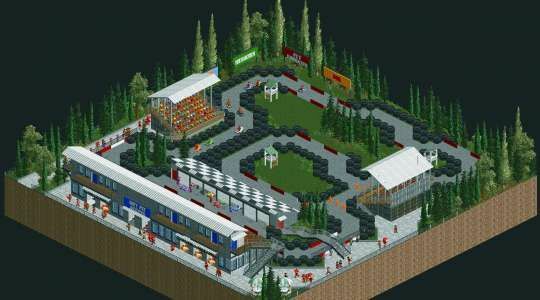 That being said, this is a rather nice micro-build and one of the better go-kart tracks we've seen on site. The details on the pit garage are among my favorites, and really bring me back to the days when I'd play F1 2012 on my Xbox 360. 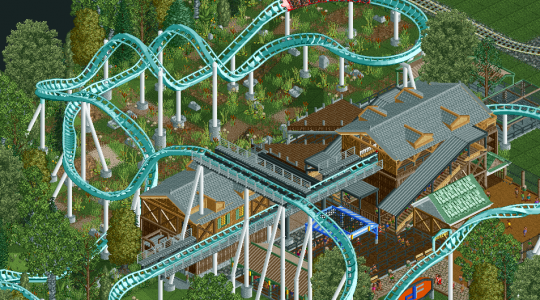 Woodland Rumble: Not too impressed with this entry, although I do like how compact it is. 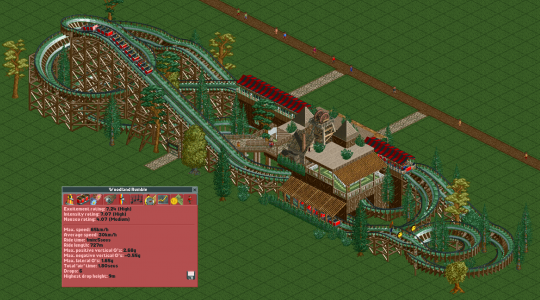 One of the big reasons people like wooden coasters is because they generally feature great airtime, and while the card says 1.8 seconds would be generated per ride I'm not sure it's enough. Far more turns are present in this snakey-layout than any hills, and the constant turns would make you lose a considerable amount of speed to friction. I'd also like to see more work put into the landscape around the ride in a future entry, nothing crazy is necessary, but maybe some hills, terrapainting, etc. Right now it's just on endless grass plains (as far as we know), and a good amount of track is placed directly on the ground. Good start though! The Real Drachen Fire: Great entry, looks like it could be one of the best we've ever seen in the competition from ORCT2, I have two complaints though. First, and really more of a nitpick, add flanges to your supports! If they're there and I simply can't see them, make them slightly off color by a shade or two. They aren't deal breakers, and yes, they are tedious, but they add that extra layer of attention to detail and correctness that helps enhance the overall project. More importantly, you must include more screenshots! This looks like a brilliant project and I wish I could see more of it, but the screenshots you've provided are simply far too limited in field of view. If you're going to enter a wonderful project such as this please showcase it well so we know more about what we're voting for exactly, as we cannot see the rest of the build until the competition ends and we download it for ourselves. I think I am going to go with Drachen Fire here in the end, as it is a wonderful entry (even if I can't see everything there is to see), World Karting Championships is also great and I'll inspect it closer later.